Home/Uncategorized/The 2019 Tewksbury Banquet Menu is HERE! Book your next event at The Tewksbury Lodge. 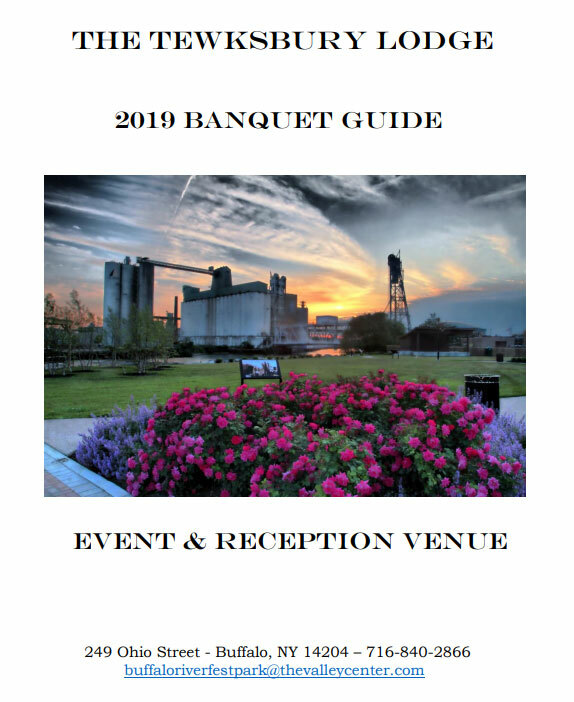 Situated in the historic First Ward of Buffalo’s waterfront and seated on the banks of the Buffalo River, The Tewksbury Lodge is located within Buffalo River Fest Park, offering stunning views of the downtown skyline, massive grain elevators, and a gorgeously landscaped park.